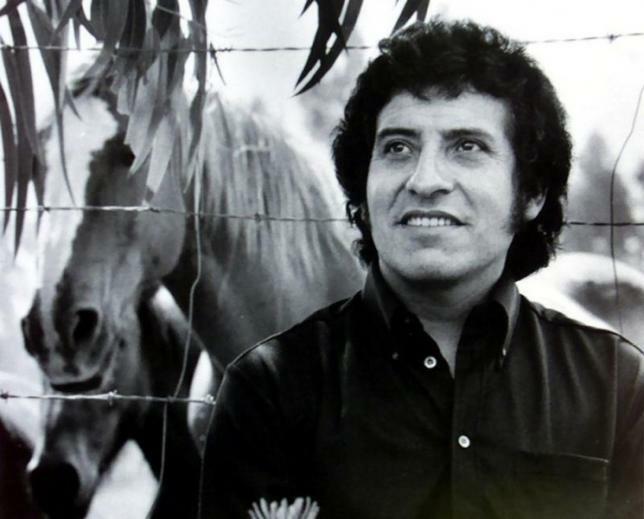 Chilean singer Victor Jara, who was tortured and died during the military dictatorship of [General Augusto Pinochet], is seen in this undated file picture. An army lieutenant under late Chilean strongman Augusto Pinochet was found liable by a Florida jury on Monday for the 1973 torture and killing of popular folk singer Victor Jara and ordered to pay $28 million in damages, attorneys for the victim’s family said. The federal civil court jury in Orlando found that Pedro Pablo Barrientos Nunez was responsible for the torture and execution of Jara in the days following Pinochet’s overthrow of leftist President Salvador Allende. “It has been a long journey seeking justice for Victor’s death. His songs continue to be sung today, and inspire both artists and those who seek social justice,” Jara’s 88-year-old widow, Joan Jara, said in a written statement following the verdict. “For Victor, art and social justice were one and the same. Today there is some justice for Victor’s death, and for the thousands of families in Chile who have sought truth,” Joan Jara said. According to Chilean court documents, Victor Jara was shot dead by soldiers in Chile’s Estadio Nacional, which served as a mass detention and torture center in the early days of the military government. Jara inspired such artists as Bruce Springsteen, the Clash and U2 and his death soon became a potent symbol of the era’s abuses.During Pinochet’s rule, which lasted until 1990, an estimated 3,200 people were killed and 28,000 tortured by the state. In 2013, the Center for Justice and Accountability (CJA), an organization dedicated to preventing severe human rights abuses, filed a civil suit against Barrientos, who now lives in Deltona, Florida, on behalf of Jara’s widow and daughters. “This is the first trial seeking accountability for the death of Víctor Jara. The verdict in this case represents another significant step to understanding what happened at Chile Stadium in the first days after the 1973 coup,” Kathy Roberts, the center’s legal director, said in a written statement. Attorney Luis Calderon, who represented Barrientos at the trial, declined to comment on the verdict through a spokeswoman at his Orlando office.